The holiday rush and the release of the year’s most widely hyped and advertised video games go hand in hand. It’s only in the push from October to December that you see games like Assassin’s Creed III, Halo 4, and New Super Mario Bros. U hitting shelves within days of one another. Remember: Great games are released year round, so it’s also the season for getting a deal on hits that are still fresh but have perhaps fallen out of popular discussion. Mass Effect 3, for example, is getting a second wind more than half a year after release thanks to a number of new versions on shelves. Careful which one you choose, though. The Nintendo Wii U version of Mass Effect 3 isn’t quite complete. By the measure of Digital Trends’ review, Mass Effect 3 for Wii U is the same quality, divisive role-playing game it was on Xbox 360, PlayStation 3, and PC, albeit with some troublingly long load times. That isn’t the whole story sadly. According to the official Mass Effect Twitter feed, the Wii U version of the game will not receive all of the new single-player downloadable content, namely Mass Effect 3: Omega. “Unfortunately [Omega] will not be available for Wii U,” reads the official statement. Since Mass Effect 3 for Wii U was announced at E3 2012, there’s been some doubt about what DLC studio Straight Right’s port of the BioWare RPG would actually feature. Producer Michael Gamble said in July that the Mass Effect 3: Extended Cut content released free to fans this summer would be included on the disc for the Wii U edition, but it wasn’t confirmed until later that the contentious DLC From Ashes would be included, as would the three multiplayer expansions. From Ashes did ship as part of Mass Effect 3 on Wii U, but the other single-player DLC expansion Leviathan isn’t planned for Nintendo’s console either. Wii U owners are lucky to be receiving the From Ashes content at all. Mass Effect Trilogy Edition for Xbox 360, PlayStation 3, and PC included all of retail versions of the series, but no downloadable expansions will be made available for any of them. Electronic Arts’ policies for DLC support are confusing to say the least. 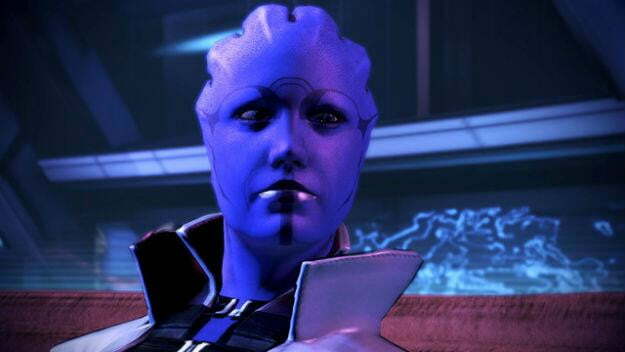 Omega has been described as the biggest expansion yet made for a Mass Effect game. It seems counterintuitive not to offer that content to every possible customer.